Fabulous February? I have been battling a ferocious head cold these past few days but I am trying to not let it keep me down. I pick my projects for the day wisely, enough to feel productive but not so much as to overdo it. I give myself permission to take breaks as needed, drink lots of fluids and know when to say enough and go to bed early. My last batch of rose blooms have been marvelous. So large and velvety. Weather. We have actually had a nice variety. A few windy days and a few rainy days interspersed with the typical sunshine. Even had a ripping thunderstorm one evening. AFRIN before bed allowing me to get some badly needed decent sleep. 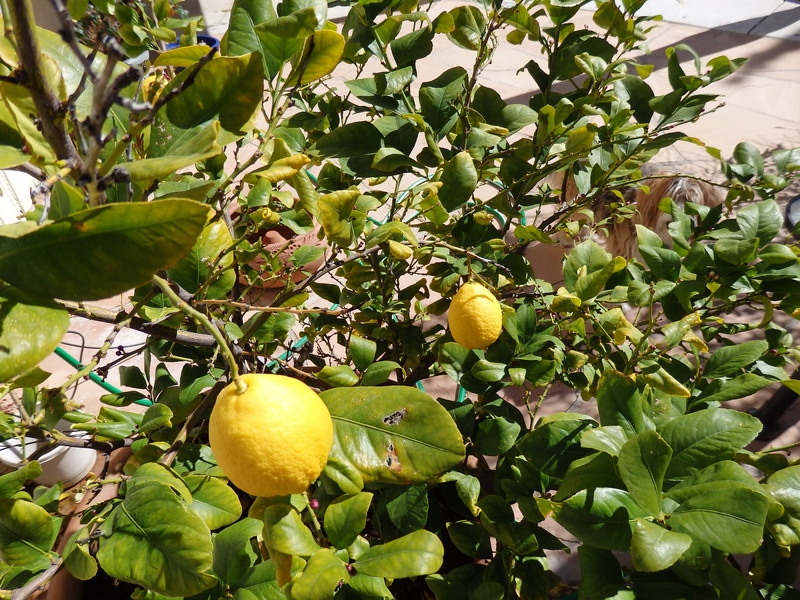 Using the lemons off my very own lemon tree – yummy. I rearranged my small bedroom to see if I could make it feel less cramped. I think it is better. Making progress on my quilted dresser scarf. Do I dare hope I may finish it this year? How much progress I have made this month on doing tasks mindfully and staying focused on one thing at a time. This has made me feel so much more at peace. Sunshine and Lemons! It may take a minute but look for something Fabulous in your February life!